Have you ever prayed the same prayer over and over again? Maybe you wish you had other words, but you’re just not sure what to say. Mealtime is a wonderful time to speak blessing to your family and to pray in thanksgiving to God for food and all His provision. 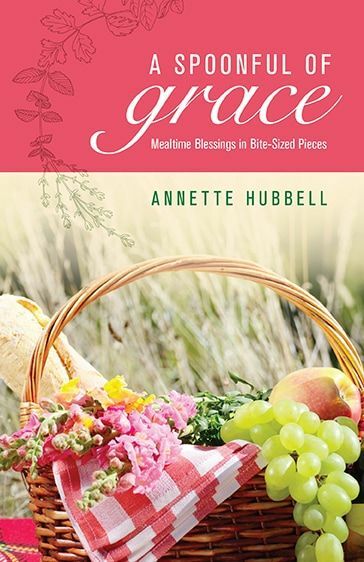 Yesterday, Annette shared the reasons why saying grace makes you happier. The table is a beautiful place to truly connect with those you love. Now it’s time for you to enter the giveaway! Simply leave a comment below about who usually says grace at the dinner table. Please include your email address if you are comfortable doing so…this will make it easier for me to contact you. Otherwise check back on Monday when I’ll announce the winner. And if you don’t have FB, no worries. Just email me at [email protected] and put “Spoonful of Grace” in the subject line. I’ll know you want to enter.